Himachal Pradesh government will showcase the history of Shimla and its linkages with Indian freedom struggle through a light and sound show for tourists. 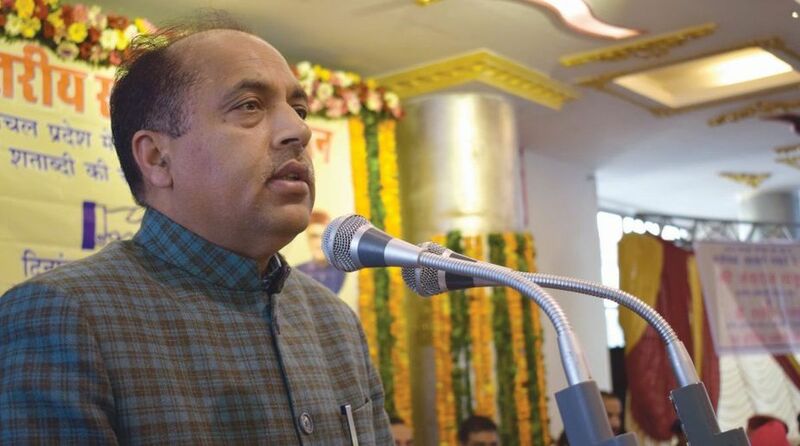 In reply to a discussion on tourism policy in the state Assembly, Chief Minister Jai Ram Thakur, who holds Tourism portfolio, said tourists must know the history of Shimla. “Shimla is not just about Mall Road,” he quipped. He said a place would be chosen for the light and sound show on the lines of Cellular Jail in Andaman and Nicobar Islands. He said the Bharatiya Janata Party (BJP) government was thinking ‘out of the box’ to promote tourism in the hill state. Thakur, who spoke comprehensively on tourism, said the government had been able to get approval for the first ever big tourism project for Himachal worth Rs 1,892 crore (loan) from Asian Development Bank (ADB). He said for the first time the government has kept Rs 50 crore to for new tourist destinations in the state. “Our effort would be to take tourism to virgin destinations like Chanshal in Shimla, Bir Biling in Kangra and Janjheli in Mandi,” he said. He said the government plans to develop the old Hindustan-Tibet road from Narkanda to Namgya on community-based tourism as a part of eco-travel circuit. Thakur said the government proposed to develop snow points in the state from tourism point of view. He said there were many such points other than Rohtang Pass which can attract the tourists. The CM referred to helitaxi service started by government with state chopper from Shimla and Chandigarh. He said the tourists who come to Himachal attracted by its beauty always rue the poor road connectivity. “I am sure the new four-lane highways in Himachal will solve this problem from tourism point of view,” he claimed. Thakur said the state government was planning to encourage lake tourism on dam sites, heritage tourism, religious tourism and adventure tourism. The Chief Minister sought cooperation from Congress in promoting tourism sector in public private partnership, while accepting that the government could not alone take up this task due to financial constraints.